Humax was one of the first manufacturers to sign up to Project Canvas, but it has revealed that the company will be initially taking a two-tier approach – offering premium Canvas-ready devices and boxes with its own catch-up portal. Speaking about Canvas at the launch of the HDR-Fox T2, Graham North, commercial director at Humax, said: "We are part of the Canvas project, and whilst we are 100 per cent behind Canvas and will be launching a device next year, you can't connect all devices out there to the service, so we have a two-tier approach to the market. "There will be our own portal which will carry catch-up services, including Sky Player and iPlayer, and we will add to our own support to this as well. "We also have the ability in the long run to offer updates [to this service], so we will be offering future functionality," explains North. North also noted that Project Canvas will not be something that appears on existing boxes, explaining that Canvas will be entirely separate. "These boxes are not Canvas compliant. You cannot add Canvas to existing boxes, as things like navigation are completely different. "Some of these services [we are offering] will be available on Canvas but we will be doing a dual launch for now." North also believes that Canvas will be a premium product, but there may be some subsidising, explaining: "Canvas price is to be decided. 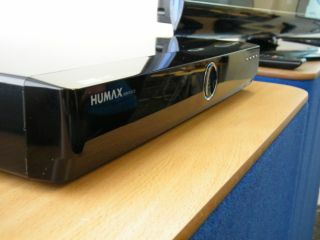 [Our set-top box] will be a twin-tuner PVR and it will be a premium product. "As time goes on there will be ways to bring down this cost. There is talk of subsidising this product but this is down to Canvas and its partners and it is still to be confirmed." Both the HDR-Fox T2 PVR and the existing HD-Fox T2 will have catch-up TV via a firmware update this autumn.